My best friend in Maine’s beautiful & stylish mother bought her handsome albeit salt of the earth & outdorsey husband a number of gorgeous ties over the years. 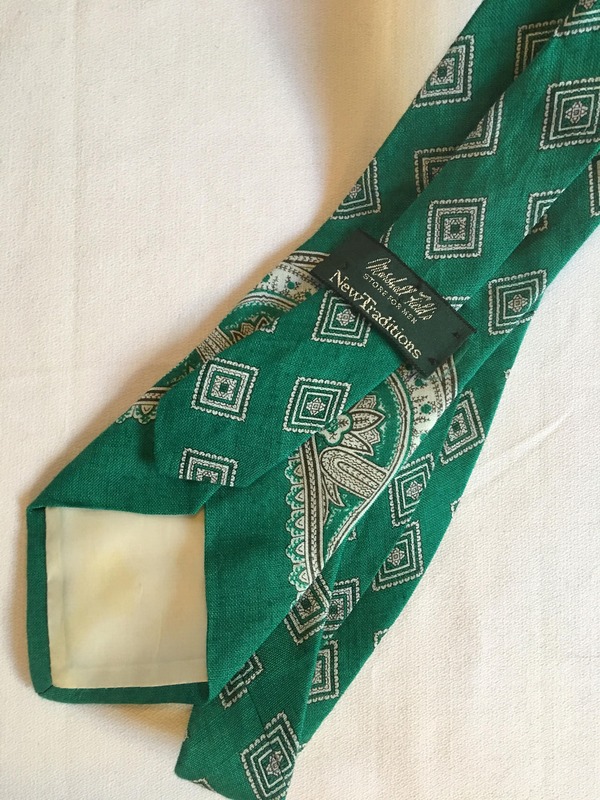 I am honored to offer some of Mr Wheelers beautiful Now vintage ties for sale here at my soulrepair as not only are they lovely, but they have such joyful loving energy. Most were worn, maybe to an anniversary dinner or maybe to church on holiday, and are in better than excellent condition. 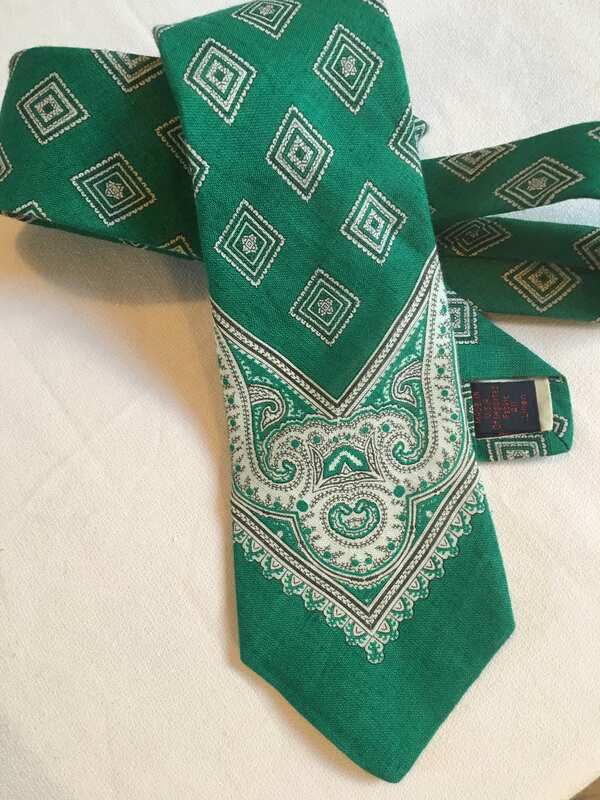 This one is my favorite - my new England’s Marshall Fields Dept stores- and 100 percent linen and such a great Kelly green bandanna paisley print- it is also slim - only 3 inches wide. 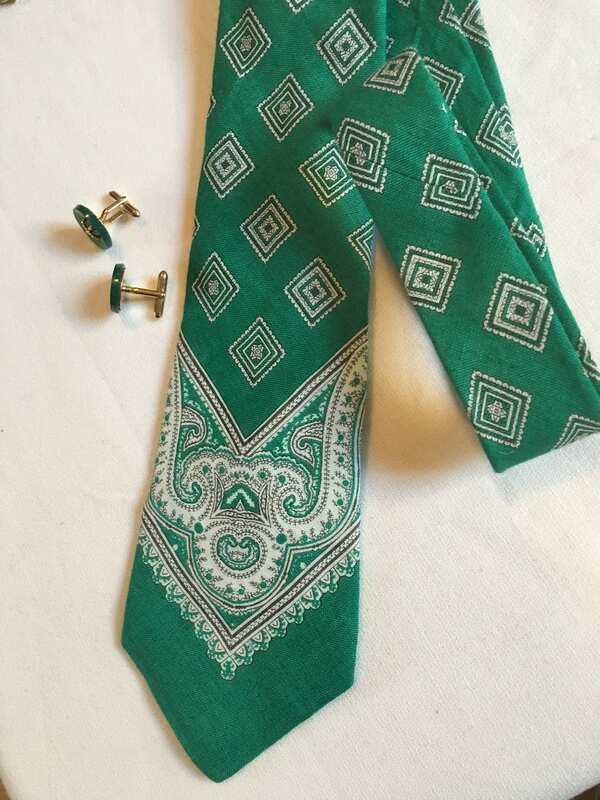 Wicked cool tie!